When Lola the kitten first arrived at her new home after being adopted, she was a little nervous and tried to find somewhere to hide. 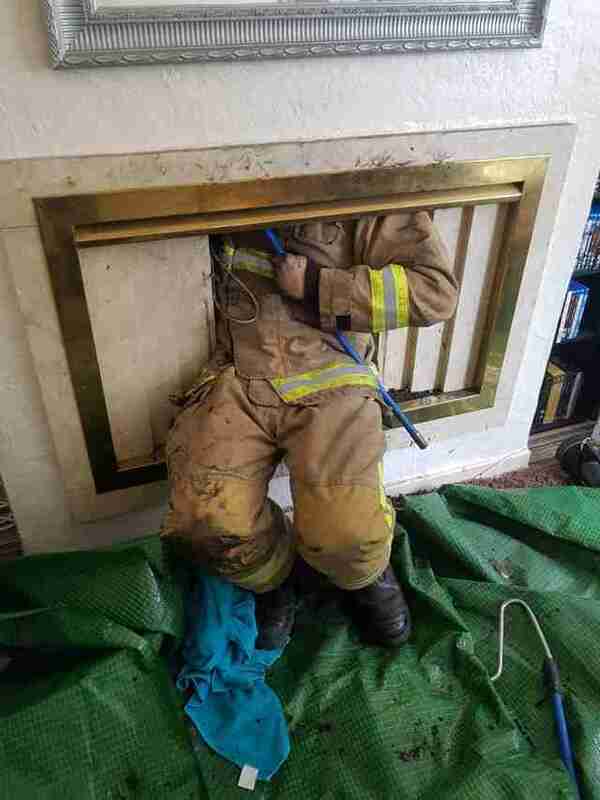 That’s how she accidentally got stuck 8 feet up her new family’s chimney. When Lola’s new mom couldn’t seem to find her anywhere, she was worried that she might have gotten out and run away. After four days of not seeing her, though, she suddenly heard meows coming from the chimney, and realized what had happened. 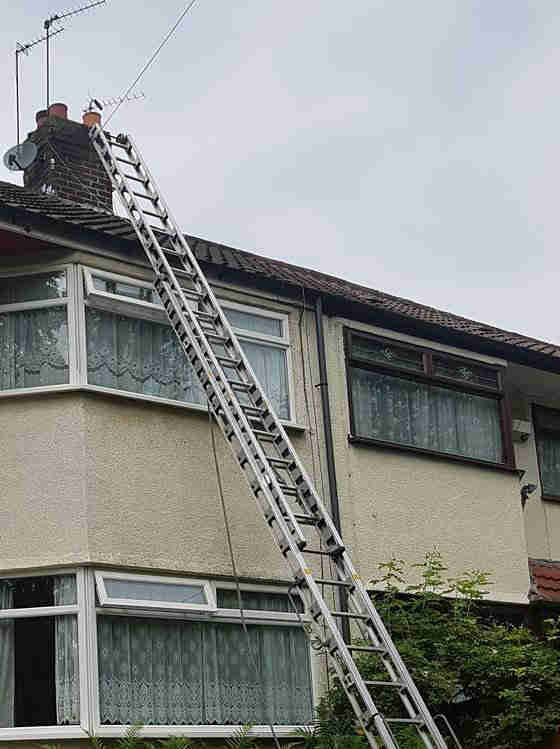 Lola’s mom immediately called the RSPCA, and together with the Merseyside Fire Service, rescuers worked from 8:30 a.m. until 12:30 p.m. to free the frightened little kitten. 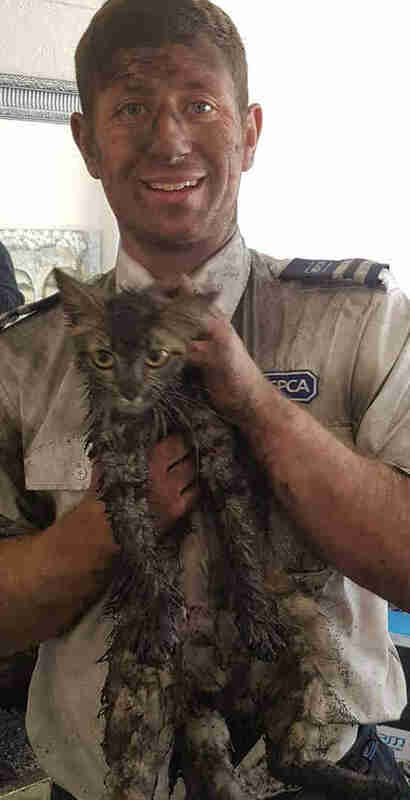 Lola and her rescuers were all completely covered in soot by the time she was freed from the chimney, but no one seemed to mind. They were just happy that the sweet kitten was finally safe again. Lola was taken to the RSPCA’s Greater Manchester Animal Hospital to get checked out before heading back home again — just to make sure she didn’t develop any issues from being trapped in the chimney for so long. Hopefully Lola will know to pick less drastic hiding places and become completely comfortable in her new home.